PL Medical Co., LLC offers x-ray filing envelopes specially packaged to meet our customers requirements. 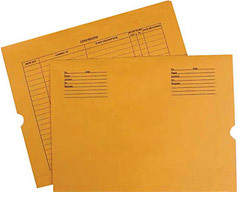 Our x-ray filing envelopes are made of extra heavy-duty Kraft paper to withstand the rigors of repeated use. They resist x-ray curling. Pre-printed blank spaces for filing.